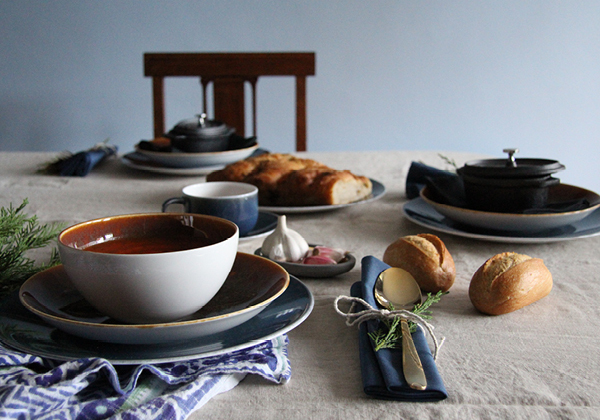 Blog - Discover Laid-Back Luxury Dining with Royal Crown Derby. Discover Laid-Back Luxury Dining with Royal Crown Derby. The popularity of a relaxed living and the growing trend for togetherness have brought a different style of laid-back luxury dining to the forefront. Casual dining promotes enjoying homemade food with family and friends, whilst gathered around the table making memories and experiences. Royal Crown Derby's Art Glaze and Studio Glaze collections use techniques on a contemporary coupe shape never seen before on fine bone china, creating a relaxed aesthetic, perfect for luxury casual dining. 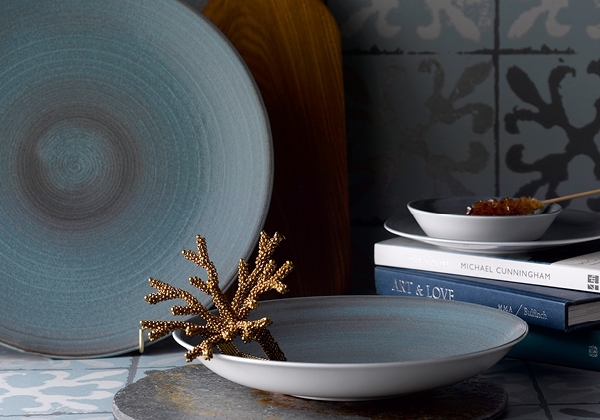 The Art Glaze collection uses a reactive glaze which is hand applied to each piece of tableware, creating a stunning and unique result. 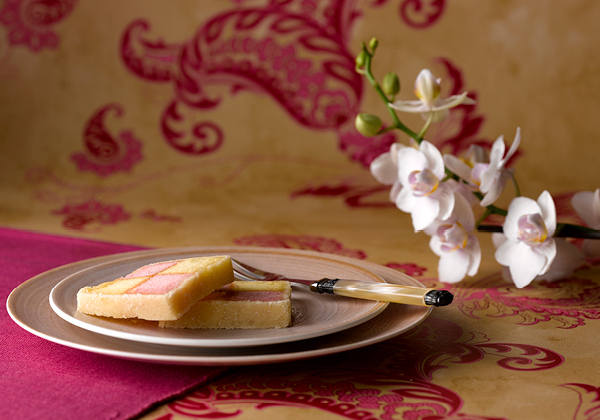 Perfect to create a beautiful table setting which exudes casual luxury whilst giving prominence to food presentation. Available in four dramatic on-trend colours Candied Sky, Flamed Caramel, Clouded Smoke and Pressed Mulberry – the names evoking memories of indulgent dining experiences, perfect to use on any table as a stand-alone colour or used as a mixed colour combination. Explore and purchase the Art Glaze collection here. 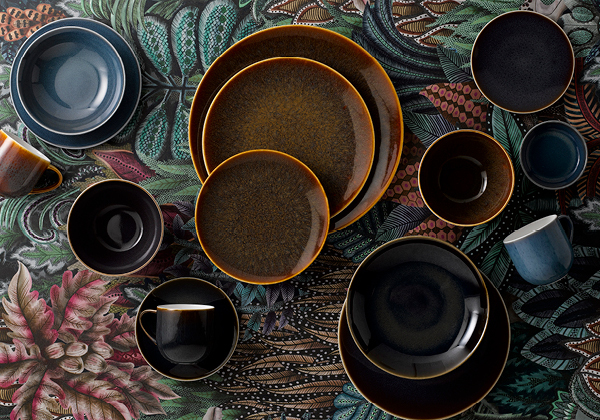 Featuring a hand-applied brushed glaze, the Studio Glaze collection exudes luxury casual dining by combining rich neutral colours with a tactile and silky finish, bringing the artisanal techniques used to create each piece of fine bone china tableware to suit any occasion. The collection is available in three stunning colourways; Almost Midnight, Ocean Whisper and Classic Vanilla. Each chosen to create a stylish and contemporary table setting either as a mix and match combination or as a singular colour. 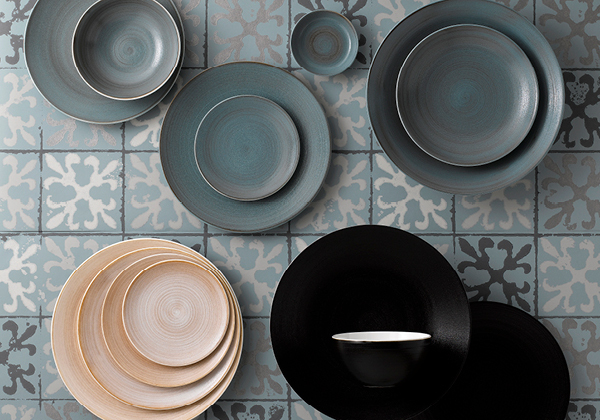 Discover and purchase the Studio Glaze collection here.